From SWAT teams to firefighters to everyday people in exercise wear or sneakers, almost everyone is touched in one way or another by nonwoven fabrics in the clothes they wear. 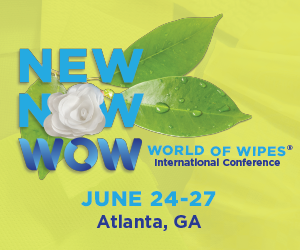 Nonwovens have important benefits in apparel for all types of facilities: clean rooms in manufacturing, laboratories, hospitals, and so much more. In exercise wear nonwoven fabrics can wick moisture away from your body and keep you cool or warm. For clean rooms durable nonwoven fabrics are used in Hazmat suits to provide a protective barrier to keep dangerous pathogens and microbes from coming into contact with workers. For first responders nonwoven fabrics are used to make bulletproof vests, firefighting suits and military apparel. Nonwovens provide extreme durability, high tensile strength, fire-retardant properties, water resistance and breathability, not to mention cost-effectiveness. Nonwoven fabrics are even found in shirts–look at the cuffs, collar and lapels. They’re often reinforced with nonwovens to provide stiffness and help retain shape.